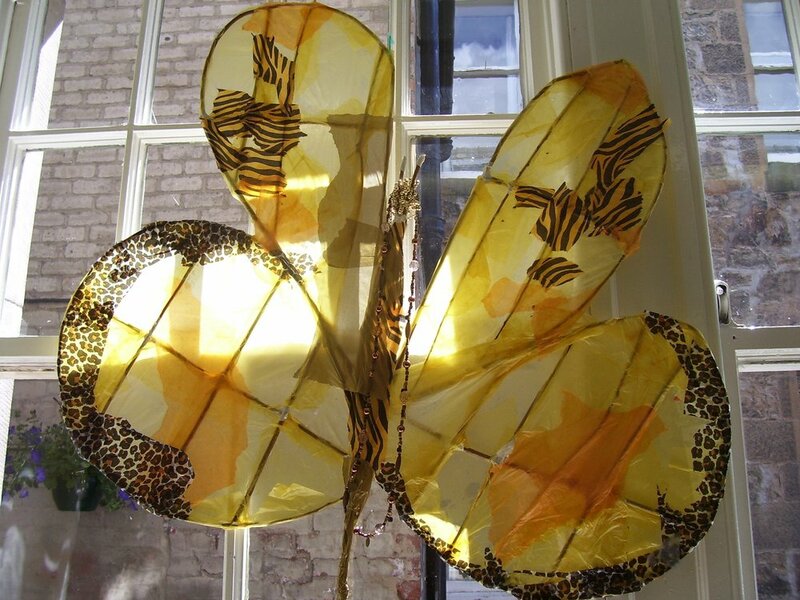 For school pupils with additional support needs, involvement in the visual arts not only provides a creative outlet, but can also boost confidence and self esteem, provide a platform to make friendships and an opportunity to develop communication skills. A selection of visual art projects by pupils with social, emotional and behavioural needs, including: felted stones, withie butterflies, card board initials and silk painted cards. In 2010, a group of primary aged pupils with additional support needs created a working clock using recycled materials to put across the message that 'the time is right' to 'reduce, reuse, and recycle'. 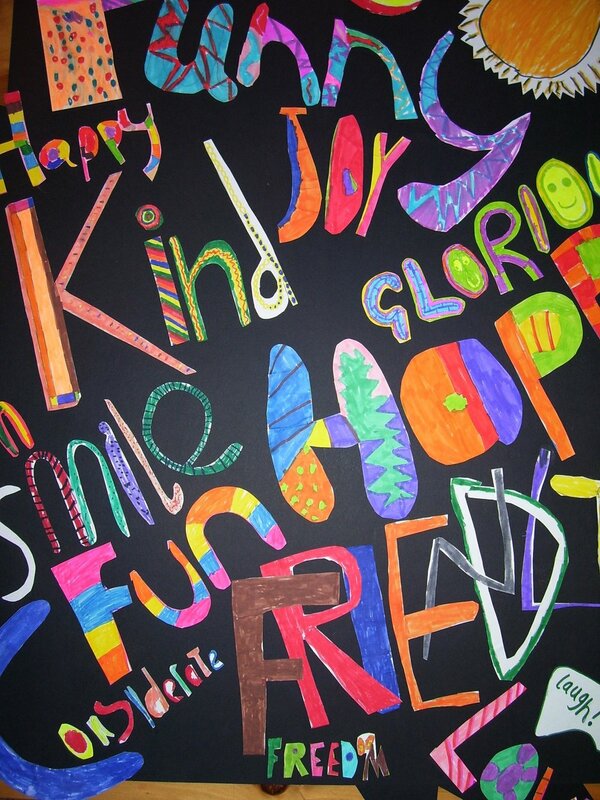 Inspired by the graffiti on the Berlin Wall, pupils painted words that reflected the positive emotions demonstrated after the demolition of the Berlin Wall 1989. These were put together to form a graffiti 'wall of hope'. 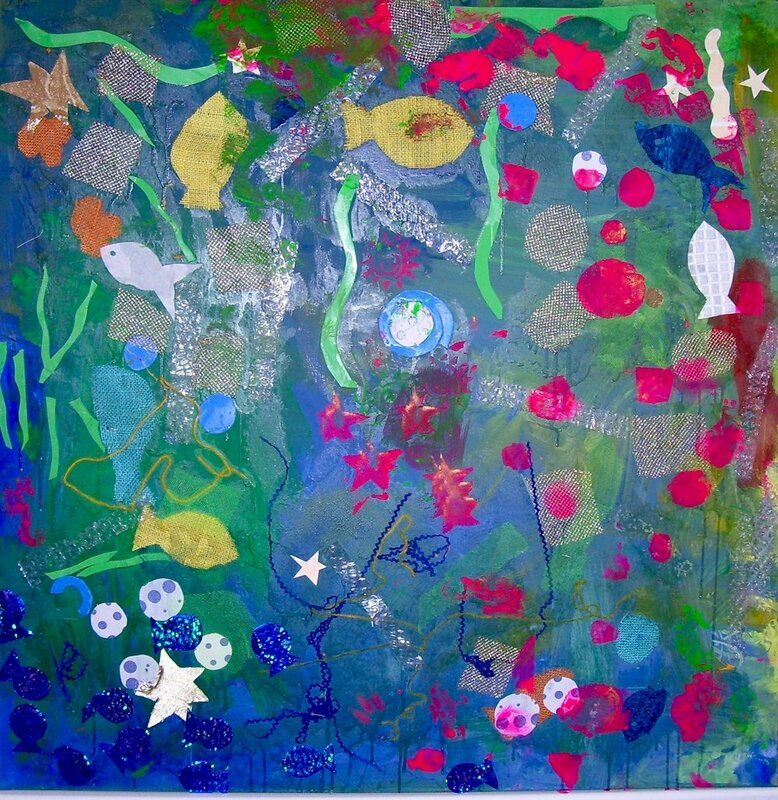 Young pupils with complex needs enjoyed the tactile nature of the art materials used to create this 'Under the Sea' themed mixed media collage. 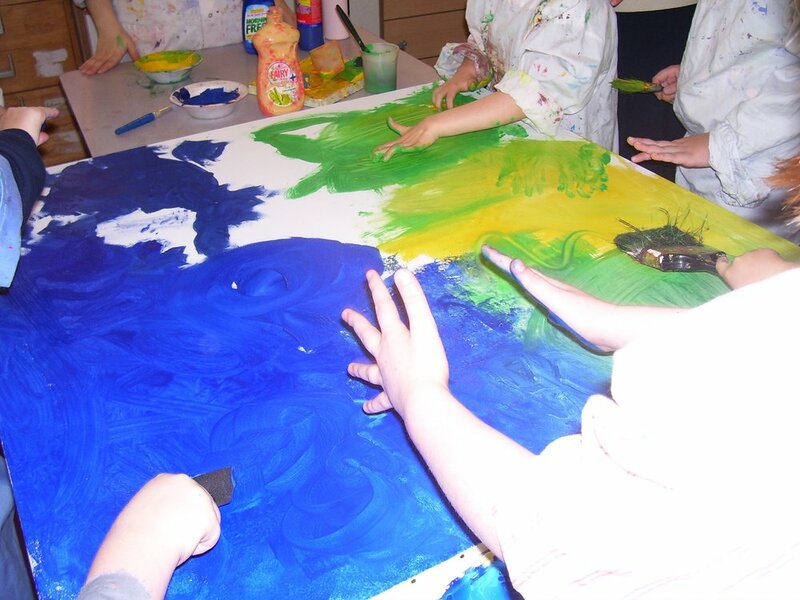 They also explored mark making in different ways such as painting wet fabric and squeezing paint mixed with salt from bottles and watching it move and mix together.